Red or blue twisting lines may be expected when looking at a map, but they are far less desirable when they occur on the legs or ankles. Unfortunately, this is the case for about 35 percent of American adults. 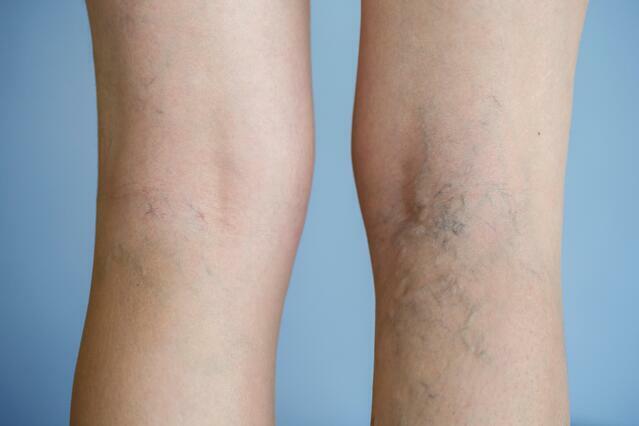 These lines, known as varicose veins, are enlarged and weakened veins that appear twisted, gnarled and range in color from blue to flesh-colored. When we walk, the muscles in our legs and a series of valves help blood flow work against gravity and reach the heart. However, for millions of people, these valves do not function as well as they should, allowing blood to pool in some parts of the lower legs an ankles. As it does, the bulging veins may be observed through the surface of the skin. Despite just how common this venous condition is, some very common myths persist as to who develops varicose veins and why. Here are four of the more prevalent misconceptions, along with the facts that patients should understand. Women have been told by their mothers for generations that making a habit of sitting with their legs crossed will result in unsightly varicose veins. While increased pressure may be responsible for pooling of blood and vein bulging, this pressure comes from internal factors. External pressure such as that from leg crossing or tight clothing may exacerbate varicose veins, but it is not the cause. From skin to hair to cravings, pregnancy can lead to widespread changes throughout the body. And, as many expectant moms can tell you, varicose veins are just one of the many differences noted from their pre-pregnancy bodies. As the uterus grows, pressure is increased on the inferior vena cava, a large vein on the right side of the body. In turn, pressure in the legs increases. Add to this the fact that blood volume increases greatly during pregnancy, and it’s no wonder that varicose veins are bothersome to many expectant mothers. However, as is the case with leg crossing, this is generally a condition that is exacerbated, but not caused, by pregnancy. Fortunately, for most, this is a pregnancy-related body change that returns to normal following delivery. While it is true that older women represent the most common demographic to suffer from varicose veins, other groups are also susceptible. Women of childbearing age and men may also experience the condition. In fact, studies indicate that the presence of varicose veins in men may range from 17 percent to over 50 percent. However, men are less likely than women to seek treatment, making exact figures difficult to discern. There is no doubt that varicose veins are a cosmetic concern. Anyone who has them can attest to their bothersome aesthetic appearance. However, there are more critical factors to consider. While some may experience no side effects from their varicose veins, others will find them to be quite painful. Additionally, when blood begins to pool, there is also the possibility that it will begin to clot. In many cases these clots are superficial and not life-threatening. However, clots that occur in deeper veins can break away and travel to the lungs, resulting in a pulmonary embolism. Outside of this, stagnant blood may also lead to ulcers or sores. Regardless of your gender or age, varicose veins are still a possibility. Aside from being unsightly, these veins may also lead to more serious health concerns. If you suffer from varicose veins, painful or not, it is important to seek treatment from a specialist in venous disease, such as those at Cardiovascular Institute of the South. Such physicians can not only help you treat the cosmetic side of varicose veins but can also help ensure your safety and health from any potentially dangerous side effects.